In December 1940 New Zealander Keith Park lost his role leading Fighter Command in defence of London and south-east England, but in July 1942 he was given command of Royal Air Force operations on the strategically important base of Malta. His work there was successful and a number of other New Zealand airmen served under him. 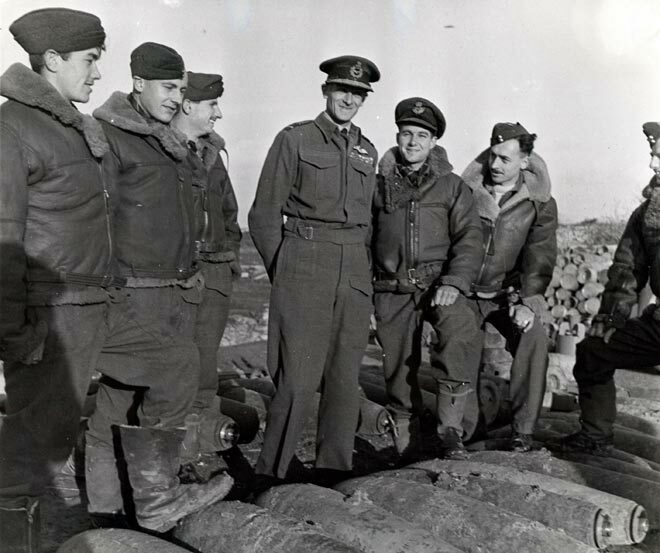 Here he is seen with the men of a Malta bomber crew.